Two days before the global launch of ASUS' most anticipated flagship smartphone, it was introduced to the Philippines by no less than ASUS CEO Jerry Shen, who personally unveiled the ASUS Zenfone 2 at the Hall A of World Trade Center in Pasay City. 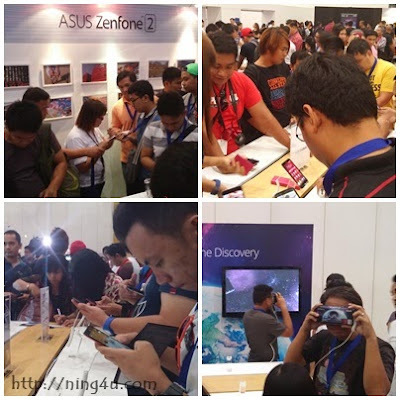 Media practitioners, bloggers, and customers were all eager to either experience or buy a ZenFone 2 unit and the comprehensive presentation about the phone's features added up to the excitement of everyone. ASUS ZenFone 2 literally "See What Others Can't See". It is a marvel of craftsmanship and engineering from its Unprecedented Performance, Sharp Vision, and Fast Charging Technology combined with the Beauty of Zen. If there's any device worth bringing with you everywhere, Zenfone 2 would be it. 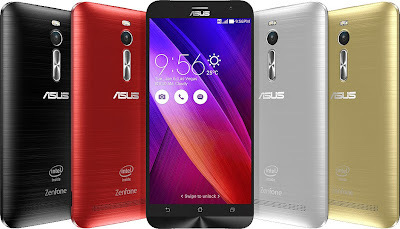 Detailed below are some of the outstanding features of ZenFone 2. Italicized and in quotations are my personal views about and experiences with the ASUS ZenFone 2. I am not an expert reviewer, but I can honestly say what other's can't see. The spectators of the ASUS ZenFone 2 had a chance to "See What Other's Can't See" after the said launch. People are so happy to play with the new ASUS ZenFone 2 and discover a new universe of possibilities at the discovery area and in participating activities like spot the owl, photo contest, selfie contest, guess the price and more, in which can can also win exciting prizes. ASUS ZenFone 2 comes with a 4GB RAM, YES, you read it right! 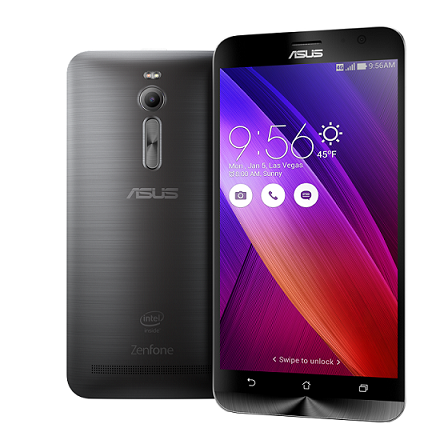 Zenfone 2 is first in the world of smartphones with a 4GB RAM. 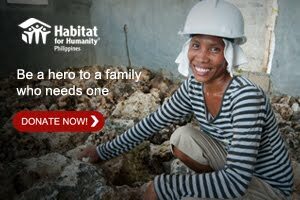 That means bigger and faster working capability that will make things easier for people on the go. It is a monster phone that will provide you with plenty of available memory, a crucial aspect for mobile. And with its 64-bit Intel Atom Z3560 Quad Core Processor, you can fully unleash its power anytime, anywhere. "I like how the apps launch much faster than the usual. I've also opened five windows on the browser and the speed is still seamless. I really love the 4GB RAM because that means I have more room for my favorite apps and games to install. I'm almost half way with the installation of my apps and it hasn't slowed or lagged a bit. ZenFone 2, even without the usual performance benchmarks, feels remarkably FASTER compared to other smartphones." ASUS ZenFone 2 has an exclusive Ergonomic Arc design that provides a secure and comfortable grip with intuitive button controls. For maximum viewing experience, Zenfone 2 has a 5.5-inch Full HD IPS+ screen with a large 72% screen-to-body ratio and a cover glass made of one-piece Corning gorilla. Plus of course, it features the iconic Zen design elements, like the sleek, brushed-metal finish and concentric-circle detailing. Finally, the Zenfone 2 comes with a graceful curved case that tapers to an incredibly-thin 3.9 mm at the edges. "I was impressed the first time I saw the metal finishing of ZenFone2 because it reminded me of how my refrigerator looks like. The finishing exudes durability and quality, much like exorbitantly-priced smartphones. Aside from its look, the size and hardware design of Zenfone 2 totally agrees with me. Since I have a big hand, I need to have a big phone and ZenFone 2 really is a perfect fit for my hand ( smile emoticon). I don't have a hard time navigating it and i don't accidentally click other buttons, especially when I'm taking selfies. The capacitive buttons are well-placed, with the volume rocker and grill-type speakers at the rear or back of the phone, while the power button sits on top. " ASUS ZenFone 2 has a 13MP PixelMaster camera with 5 Element Lens and f/2.0 wide-aperture. The camera also has Low Light mode, Backlight (Super HDR) mode, and Super Resolution mode (equivalent up to 52MP), toensure amazing photos even in dimly- lit areas. Moreso, the camera app has a Selfie Panorama mode (which can capture photos up to 140 degrees) and a Full Manual Mode with 13 professional settings. That's like having an instant DSLR in your hands. 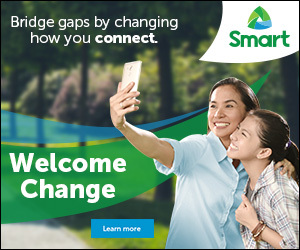 That's a bonus for selfie addicts like me hehehe... We can quickly and easily capture clear, beautiful, and high-resolution photos. "The camera features are definitely stunning, especially the Backlight mode, because it uses evenly the light around a dim room. The Selfie Panorama is way cooler because of its 140 degree capability. For bloggers like me, the wider the angle, the better. Hmmm, how many bloggers can fit in a panoramic selfie, I wonder?" ASUS ZenFone 2 has a feature called BoostMaster Technology, a unique power management system that allows fast charging while maintaining temperature at a low level. A 3000mAh battery provides long lasting user experience. "The BoostMaster Technology works great because the recharging function works successfully. After I emptied the ZenFone 2, it recharged fully in less than 30 minutes! WOW! If that is not super fast charging, I don't know how else you'd call it." ASUS ZenFone 2 has Sonic Master Technology for maximum sound experience, a great way to listen to your favorite songs, wherever you are. ZenFone 2 is also using the 4G LTE Advanced Technology that gives you a 250Mbps data rate, a better way to surf online and connect with your family and friends. You can also customize your ZenFone Theme, keep it more private through SnapView, use ZenMotion to interact with it and, well, there is so much more to ZenFone 2 than you can ever imagine. That is why, ZenFone 2 is the Best Companion ever :) . "As of now, I'm just exploring the ASUS ZenFone 2 for about twenty-one hours and for now I can say that, I have a newest buddy while cleaning my room this weekend. The sound is just incredible." 8W BoostMaster adapter is included with the 2.3GHz/4GB ZenFone 2 model only. Here's the good news: Since some of you didn't have the chance to be with us today on the launch and 1-day selling of the Zenfone 2, worry no more because it will be available next week in all authorized resellers nationwide. You may also contact your local ASUS representative for further information and ASUS Facebook account for details. So if you are looking for a smartphone with these great features at a very reasonable price tag, go grab a ZenFone 2 , and "See What Other's Can't See" :n) .